Darren Rea: Looking back over your career what would you say is the one project that you are most proud of? 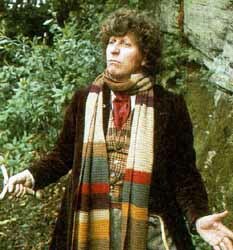 Tom Baker: Well Doctor Who was the only big success and I was so happy to do it and I'm a bit proud of it. DR: It's been said that you regard your portrayal of the old sea dog captain in the second series of Blackadder as your most embarrassing, when some consider it one of your best. How do you see that part in retrospect? TB: Not so. I was delighted to do Captain Rum and lots of people have said they enjoyed it. DR: If you could play the part of a famous person in a movie about their life who would you chose and why? 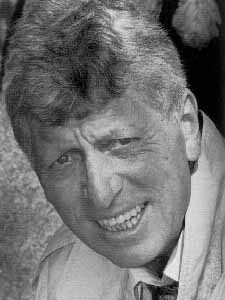 TB: When I was young I would have liked to play Harpo Marx. This was because I vaguely resembled Harpo long ago and I admired him. DR: If a movie were to be made about your life who do you think should play you? TB: I have always admired an actor called Alex Jennings. But I think Prince Charles would do a good turn as me. DR: Your Ultimate Sci-Fi Quiz was released on DVD recently. If you were to play it how well do you think you'd do? Do you know a lot about sci-fi shows? TB: I often read the Bible so naturally I know something of Sci Fantasy. I was brought up to believe everything that was improbable, and everything that was impossible. DR: If you could go back in time and change one event from your life what would you change? TB: If I could change anything so important I think, on balance, I would prefer not to have been born. DR: If you could make a cameo guest appearance on any TV show which show would that be and what sort of character would you like to play? TB: I don't know much about TV here in the UK, having been abroad for the last four years, but I do remember thinking I could have done that old boy in the Werther's Old Peculiar Toffee ad. 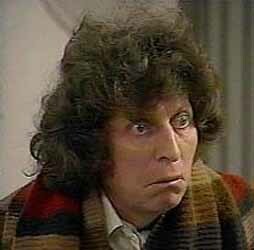 DR: What's the best and worst thing about being Tom Baker right now? TB: The worst thing about Now is that I am old and that can never get better. The best thing about THEN is that I was once a children's hero and that was truly wonderful. DR: What are you working on at the moment? Where can your fans expect to see you next? TB: Well, I have just completed my Ultimate Sci-Fi Quiz on interactive DVD, which looks like it'll be a lot of fun for people. There's also a commercial for ABBA the album and also some commercials for their latest single and one for their album. I so like Dancing Queen by ABBA and also I like a little bit of OOOH OOh! by Girls Aloud. I also appear in a Miss Marple a bit later. A lot of people were amused by the BT texting thing and that has been extended to the great amusement of people who like to send messages in my voice. 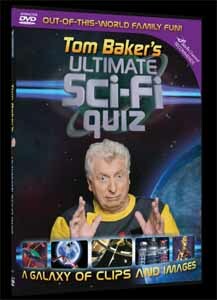 Tom Baker's Ultimate Sci-Fi Quiz is available to buy and rent on DVD from Liberation Entertainment from 06 November 2006.